Live aquarium plants make the perfect addition to any home aquarium or man made pond. Plants can help to create a more natural environment for the fish and actually help to improve the overall water quality in the fish tank or pond. 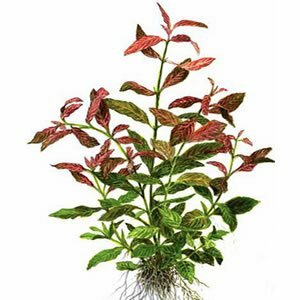 Typically, live plants are fairly easy to maintain, but they do require proper care. Not only do live plants enhance the beauty of your home aquarium or pond, but they also help to create a healthy environment for your fish. First of all, plants absorb carbon dioxide and they release oxygen into the water. This is very important because fish need oxygen to survive. The addition of live plants to the water will also deter the growth of algae and bacteria, which will make maintenance easier. In addition, live plants work like a natural filter to extract toxins, such as ammonia, phosphate, nitrite, and organic matter, from the water. These toxins can be very dangerous for the fish; even deadly in some cases, so removing them from the water is crucial to your fish’s overall health. While live plants certainly make a great addition to any fish tank or pond, you must select the right types of plants. Typically, you want to look for plants that can be submersed under that water to provide the greatest benefit to the fish. Research a variety of live plants, paying close attention to their required living conditions and the amount of care needed. You should be certain that the plants will have plenty of room to grow and enough lighting to flourish in your pond or aquarium. You also want to choose plants that will work well with and are safe for the types of fish you have. Remember your fish are herbivores and they will likely eat the plants you place in the water with them. It is important to maintain a proper ratio of fish and live plants in your home aquarium or pond. Too many plants can overwhelm the fish and release too much oxygen into the water. On the other hand, not enough plants will not create the ideal living conditions you want for your fish. Remember that these plants are living and they will require special care. It is important that you check your plants regularly and remove any dead or decaying parts of the plant immediately. Any dead matter left in the water can spur the growth of algae, bacteria, and parasites. Any plant the show signs of distress or disease should be removed from the water as soon as possible. The most important thing to remember when adding live plants to your aquarium or pond is to do your research. You should know exactly what type of care is required for every plant you purchase. This may take a little bit of extra work, but in the end, it will save you both time and money by ensuring that you do not select plants that will not grow properly in your tank.